The GiGroup, one of the largest international staffing agencies, can look back on a successful year, particularly in Germany. Following the switch to Talention Software, GiGroup Germany doubled the number of applicants last year to over 69,000, despite declining unemployment figures. We conducted an interview with Christian Wolf, Service Director of GiGroup Germany, in which he talks about current successes and success factors for staffing agencies. Talention: Hello Mr. Wolf. We are delighted that last year was so successful for you. What successes can you report on and how did they come about? We can look back on a successful year for GiGroup Germany. Our applicant numbers have developed very well since the introduction of Talention in May 2017. To share a few numbers with you: We had a total of 30,104 applicants in 2017 and were able to more than double this figure to 69,346 applicants in 2018. And that is even with the declining unemployment figures. The budget has not increased significantly, if you consider that the click prices have partly increased in relation to the incoming applications. In 2018 we had an average online cost of 5,59€ per applicant. This is already a very good figure compared to the staffing agency benchmark. The quality in 2018 was also on point. We had a hiring rate of 1:12. We normally target a quality of 1:10, but we can't complain if we had a larger selection of 12 candidates on average. Talention: In your opinion, what led to the success? I think a part of this success is our strategy. In this case, we follow the same procedure as Talention. That is also the reason why we work together. Our approach is to move elements from marketing and the thought process from sales to recruiting and candidate management. We have already given a lot of thought to this in advance and have found a partner in Talention who thinks like us and supports us in the implementation. Talention: What was your approach in the last year? On the one hand, we use the research tool of Talention. In the first step, we look at which keywords are sought in relation to the job title and which best express the qualification sought. In the second step, we add additional information, such as incentives, to convince the candidate of the job. For example, we create a large number of job advertisements by combining different job titles, different incentives and different additional information. The different typologies of candidates offer an incentive and thus provide us with a broader spectrum of candidates. A/B testing of job advertisements and the research tool are important elements. We publish a lot of job titles according to this principle and therefore need a lot of job advertisements. Talention's duplication function has proven to be particularly convenient. With some routine, 50 job titles or job advertisements can be created in this way in 2-3 hours. With this principle, we enter the market with a broad spectrum and get different candidates depending on the incentive spectrum. Another important point, in addition to our wide range of offers per job, is our reduced application form. We use this in a good 95% of our jobs. We are mainly concerned with initial lead generation, in which we only request a small amount of data, such as first name, last name and e-mail address and telephone number. I then see the first telephone call as a sales pitch. In which we completely convince candidates of ourselves and the job. In this case the topic of "screening" and the first telephone interview coincide, because in most cases we do not have any further documents. Especially in the commercial sector we have leads where we mainly request information after the interview. I believe that this approach is an important success factor, which is why we have managed to increase our application figures steadily despite a declining unemployment rate. Last November we had the highest number of candidates with 7,343. The best month compared to the previous year was in July 2018, when it was an increase of 230%. That was 14 months after the introduction of Talention. Talention: Can you make a statement on how this success will affect GiGroup Germany? In 2018 there were significant changes in the staffing industry with regard to the legal situation in the provision of temporary workers. As a result, there were significantly more departures than in previous years. Keywords on this topic are "Equal Pay" and "Maximum Temporary Employment Period". In addition, the supply for employees is extremely large and in some segments of the business there is greater fluctuation than a few years ago, which we had to absorb. In addition, we have noticed in the last two quarters that we are entering a downturn in the economy. In the staffing sector, this was evident from a number of cancellations. Compared with the previous year, many of our competitors were in the red and had fewer employees. In contrast, we were able to maintain and slightly increase our headcount. This enabled us to set ourselves apart from many of our competitors. This is also due to the fact that we had a steady influx of candidates. Talention: How will the journey continue? What are you working on right now? We are in regular dialogue with Talention and pursue a similar philosophy. I would like to become even more successful in lead generation. I imagine even more possibilities to generate more leads. For example, a download setting for manuals or other content. Next, I'm looking forward to the landing page editor. This is especially interesting for the recruitment of passive candidates, who will find more suitable information on these pages. A single job advertisement can't keep up with this. We have started to use the newsletter tool from Talention, which is now fresh on the market. This is perfect for us to communicate with candidates. Even just to send simple things like Easter greetings or Christmas greetings, or to share top events or news from the job market. These three points are currently occupying us and we are constantly working with Talention on implementation and further development in 2019. Talention: Do you have a tip you could share with our readers from the staffing industry? As a staffing agency we are obliged to track our costs constantly, because advertising costs and hiring costs are part of our calculations. In the course of this we are forced as staffing agencies to find ways and solutions that devour as little advertising budget as possible. Every euro I save in marketing, I have more in contribution margin. In addition, the lead generation and maintenance options mentioned are perfect for saving costs. With a landing page I can address candidate groups in a completely different way than with a single job advertisement. For example, it would be conceivable to use a landing page to place a Google AdWords ad. This would make the ad placement even more efficient. 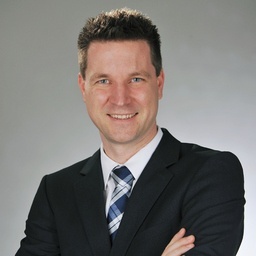 Christian Wolf is the Service Director at GiGroup Germany. All important key figures intersect at his desk. The national and central recruitment team reports directly to him on all activities of the individual branches. GiGroup Germany is part of GiGroup, which is an international staffing agency. It is represented by partners in over 40 countries and employs more than 115,000 staff in a network of over 500 branches. Would you like to learn more about how staffing agencies can improve their recruiting process by using software? We would be happy to show you more best practice examples and their concrete implementation in the Talention software. You can request a demo here and someone will contact you shortly. Request a demo now.